A particular favourite of foreign newspapers and magazines, Dwaeji-galbi-gui is loved for its soft texture and affordability. 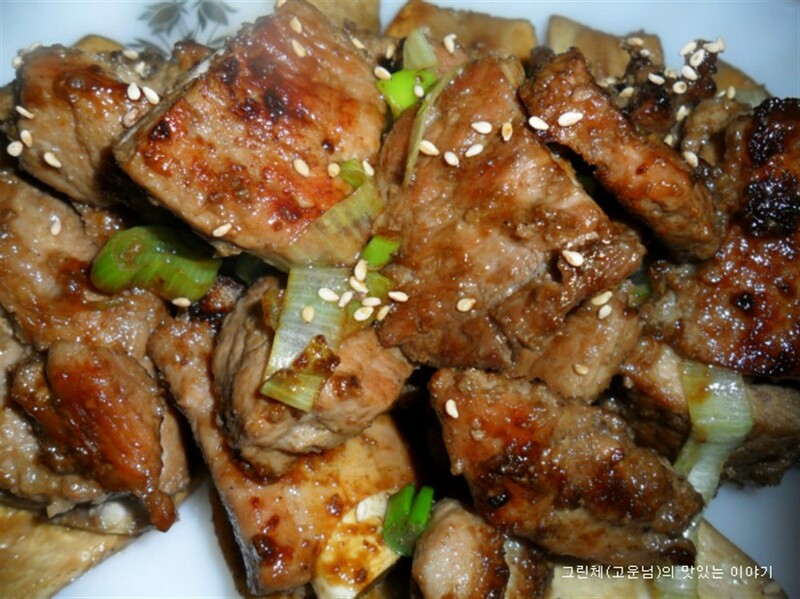 A cheap but equally great tasting alternative to So-galbi-gui, Dwaeji-galbi-gui is a dish made from pork, ginger, garlic, black pepper and red chili paste. It was made popular by workers who wanted to eat a hearty meal at a bargain price. It is usually made at the table and it is not uncommon to see four to five people gathered around a table sharing the meal. The meat is wrapped in lettuce or perilla leaves with raw garlic and chili and dipped in Ssamsang, a spicy sauce. 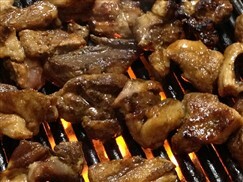 The seasoning is very important to the dish becauseDwaeji-galbi-gui is made from the first five ribs of a pig where the porky flavour is strongest. Raw vegetables are usually added to achieve the nutritional balance. Enjoy this meal with some soju for the best experience.